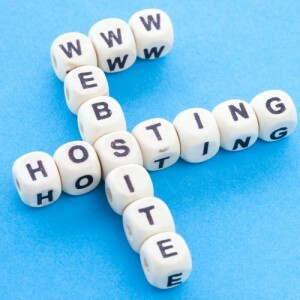 Like any smart business, the best web hosting companies are constantly looking for ways to stay a step (or five) ahead of the competition. From adding fancy new features, seamlessly integrating with 3rd party services, offering unique ways to interact with customers, and slashing prices, industry competition and pressures continue to rise. As consumer wallets continue to get tighter, webhosts are constantly battling with the numerous trade-off decisions to lower costs or add value. And in some cases, do both at the same time. This post explores 3 hidden costs webhosting companies should consider before opting to lower costs as their core strategic advantage. Opportunity Cost: Something we hear often, but likely don’t give enough consideration. Opportunity cost is essentially the cost of not doing something, in exchange for doing something else. For example, if you are spending a great deal of time responding to upset customers due to service downtime, you are not spending time making calls to new prospects or developing new campaigns. Therefore, it becomes an opportunity cost. In this instance, your goal should be to eliminate the source of downtime so that you no longer have to spend time responding to upset customers and can, more productively, focus on activities that will drive more sales and revenue. To do this, a key plan of action is to establish trustworthy infrastructure, allowing more time to focus on opportunities instead of problems. Cost of Unhappy Customers: Losing a customer not only costs you revenue but also the added costs of replacing the customer. There is a general rule of thumb that it costs 6-7 times more to acquire new customers than it does to retain current customers and/or generate referrals from existing customers. In other words, it makes a lot of sense to invest in keeping your current customers happy and loyal. You will spend substantially more attracting new customers who may know little to nothing about your company. The icing on the cake is getting your current customers to refer their friends and colleagues simply because you’re doing a great job taking care of their needs. Having a reliable service they can count on, helpful support when they need it, and reacting quickly when things don’t go as planned will keep your clients happy. Cost of Negative Reviews: Related to point #2, unhappy customers can cost you even more than lost revenue and higher acquisition costs. With the increasing reliance on user reviews for buying decisions, unhappy customers leaving negative reviews of your company can thwart your marketing and sales efforts in a big way. And when this happens, it requires more time (and money) to overcome the negative brand perception. So while the initial appeal of opting for lower cost alternatives can be enticing, consider the longer term impact it may have on your brand and longevity of your business. This is where investing in the value of quality products and services can set you apart and give you greater chances of creating happy, loyal, and long term customers.